According to the Hollywood Reporter, six actors have joined the cast of the hit NBC series. "Alias" alum David Anders, Barry Shabaka Henley, Holt McCallany, Japanese pop star and actress Eriko Tamura, Lyndsy Fonseca and Dianna Agron will all take on recurring roles. "Anders will play the most intriguing part, that of the ancient samurai warrior Takezo Kensei, Hiro Nakamura's (Masi Oka) childhood hero. While never seen during 'Heroes' first season, Kensei played a key part in the show's plot. Hiro spent most of the season trying to get ahold of Kensei's sword, which he hoped would help him in his quest to save the world." Meanwhile, actor Greg Grunberg gives some possible spoilers about the fate of his character on E! Online's Watch With Kristin column. That's not a typo -- could it be that concept work is already being done on the sequel, weeks before the debut film makes its appearance? 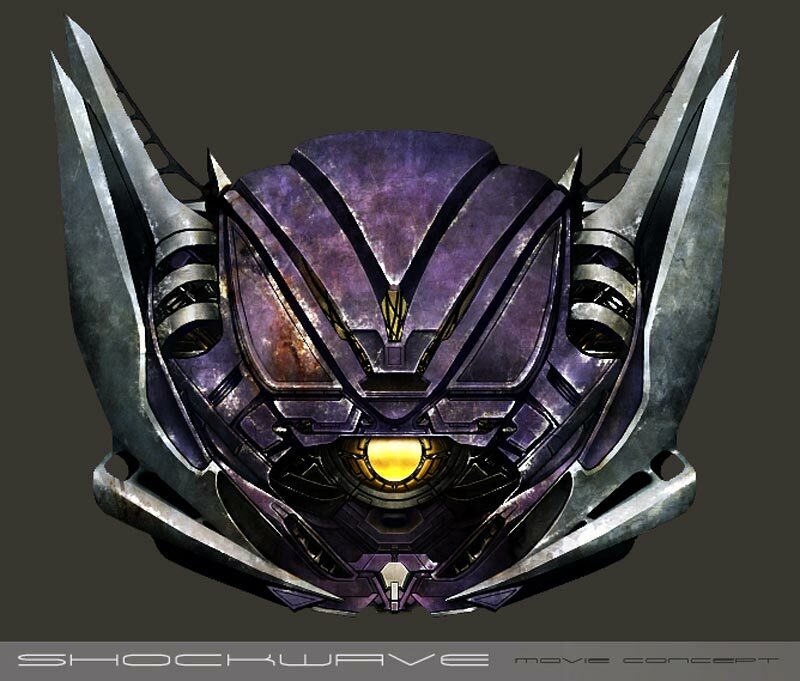 These concept drawings of Soundwave and Shockwave may indicate just that. Thanks to Tom Williams for pointing these digital gems out. 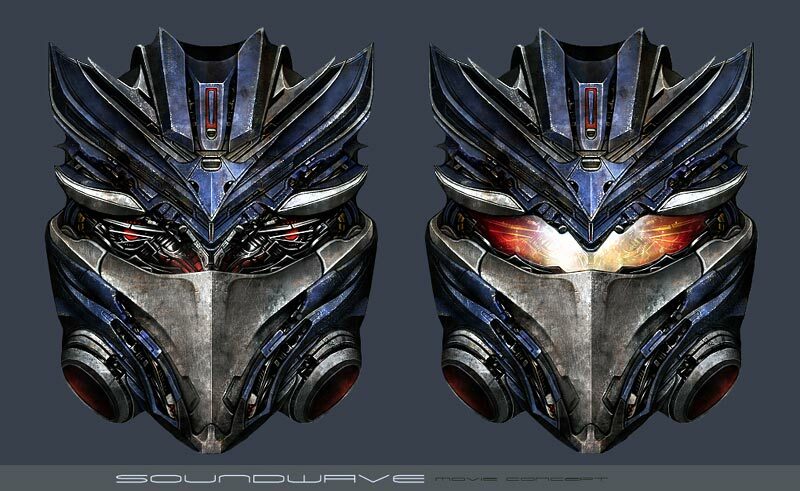 CORRECTED: These images were discovered to have been fan art -- woops. Sticking with the movie we know is gonna happen, director Michael Bay participated in a press conference and Superhero Hype caught most of the madness, with Bay dodging the sequel question. "I don't know," Bay told a reporter. "I leave my negotiation open, because the President of Paramount is right behind you. He could probably kill me. I don't know what I'm doing right now. There's no script right now." CBR is on point with exclusive set photos and high resolution images of the Batcycle, er, Batpod. IGN also has a somewhat spoiler-esque set report from the Windy City detailing plot elements of scenes being filmed. French actor Melvil Poupaud talked to Comingsoon.net about playing a role in the next Wachowski Brothers project. "I met them in Berlin and they're crazy American nowadays directors," Poupaud said. "It's a small part -- I'm not even sure if it's going to be in the movie at the end, you never know. I'm an ancient race champion that now comments for the TV network's races, so he's kind of cool and pretentious, and at one point, when the race becomes crazy, he starts speaking in French." In other news, Variety reports that "a new, US-animated version of the popular anime series 'Speed Racer' will be debuting on Nickelodeon's Nicktoons network in 2008, around the same time that a live-action movie of the title will be hitting movie screens. The series will have an initial run of 26 episodes, with the possibility of additional episodes. The series will focus on the son of the title, character (also named Speed Racer) and his time at a racing academy. A new Mach 6 that doesn't run on gas will be featured as Speed's new car (an upgrade of the classic Mach 5). Original Speed Racer voice actor Peter Fernandez will be appearing in the series as an older Sprittle, headmaster of the racing academy, along with a robotic version of Chim Chim the chimpanzee." Steve Younis from the Superman Homepage emailed us to point out a link in Variety that we missed, noting that the first draft of the script has been completed by husband-wife writing duo Kieran Mulroney and Michele Mulroney. How about some trailer links? Whether you prefer Windows Media high resolution or low, or instead Real Media high resolution or low, we've got you covered. Comics2Film has an interview with Tad Stones, producer of the animated versions of the Mike Mignola creation. "There is no plan to do any finite number," Stones said of further animated sequels. "Mike and I have talked about stories set on the Sargasso Sea. Stories set in the South West. All different adventures of Hellboy. He's very much a pulp character, inspired by the authors of 'Weird Tales' and 'The Spider' and 'The Shadow' and all of that. I think we probably would have gone through all that material and done the Hellboy slant on each. We would have had something as 'non-Hellboy feeling' as Hellboy in Burroughs' Pellucidar. Ideas are not a rare commodity when you're working with Mike Mignola. Part of his storytelling is to think about ideas for a long time. Then when somebody says, 'We should do a caveman story,' [Mike would say,] 'Well I thought about a caveman story once.' They develop over time in his head. He's got way more stories in him than he'll ever get down on the page." MTV has a feature on the long road from printed page to silver screen for the Neil Gaiman property. "The most magical transformation of all, however, might be that the story got turned into a film in the first place, becoming the first adapted work by acclaimed fantasy author/ graphic novelist Neil Gaiman to hit the big screen. For his part, Gaiman is finally exhaling. 'It's a tremendous relief,' he laughed. 'I've sort of been holding my breath.' Gaiman first sold the film rights to 'Stardust' to Miramax almost 10 years ago, but he ended up getting the rights back after two years were wasted on development Ñ a not-uncommon experience considering that many of his books, stories and graphic novels had been picked up but lingered on people's desks. (At one point, The Hollywood Reporter called him 'the most-optioned author in Hollywood who has yet to have any of his work translated to the big screen.')"